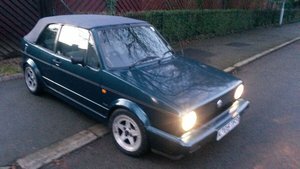 An extremely rare unmodified, low mileage and cherished example of an appreciating modern classic. 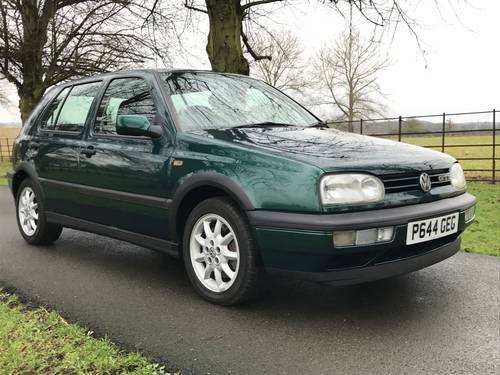 First registered on the 9th of October 1996 this VW Golf Mk3 GTi remained with the same keeper until 2009 covering less than 30,000 miles in this time. 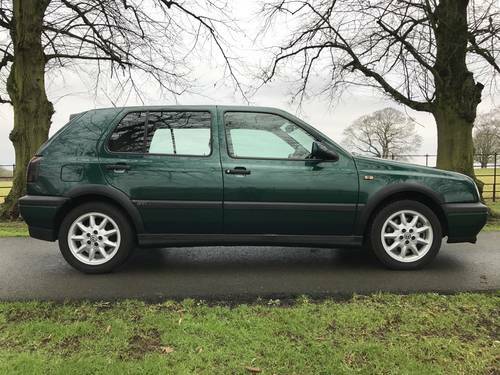 Now showing just 42,000 miles as verified by an extensive MOT history, the car surely represents a very usable and solid investment. 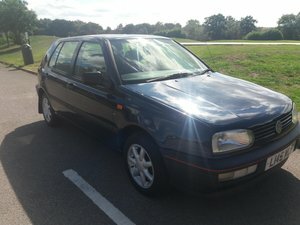 With many GTi’s now covering close to 200,000 miles with no notable mechanical faults, needless to say this exceptionally lower mileage example runs beautifully. The 2-litre 8 valve engine pulls eagerly shifting smoothly through the 5-speed manual gearbox. Having clearly been treated and driven with respect throughout its life, few if any examples will feel as ‘box-fresh’. 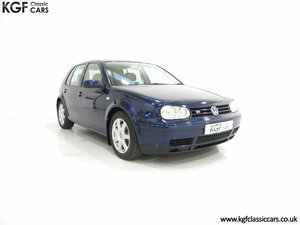 Finding a Mk3 Golf GTi with a good body can be something of a challenge with most cars starting to look their age. No such worries here! 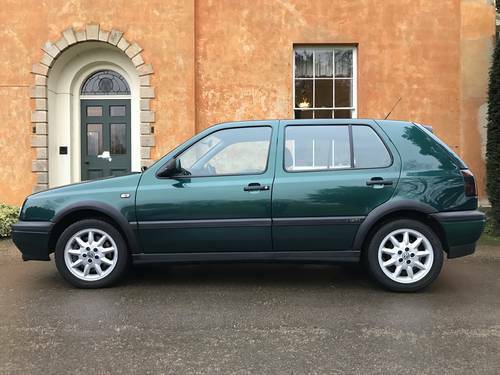 Much like the engine and gearbox, the exterior of the car defies its age. The metallic green paintwork gleams highlighting the remarkable condition of the bodywork. Little would be required to bring the car up to show-winning standard. It would appear that very few bottoms have sat in the cloth upholstered seats. 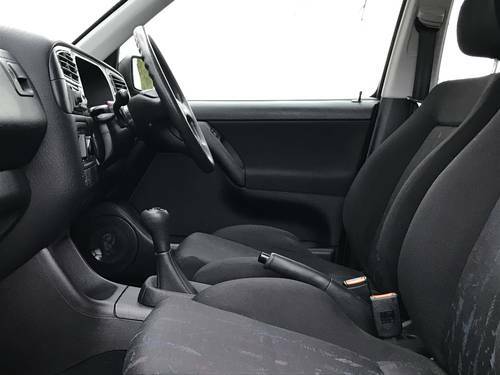 There is no excessive wear to the seat bolsters or unsightly marks on the bases or backs. The dashboard and door cards too are free from damage and exemplify the good care taken of the car. You’ll even find original VW rubber floor mats sitting neatly in the driver and passenger footwells. Lifting the tailgate you’re met with an exceptionally clean luggage area that appears to have been used for moving nothing more industrial than the weekly groceries. 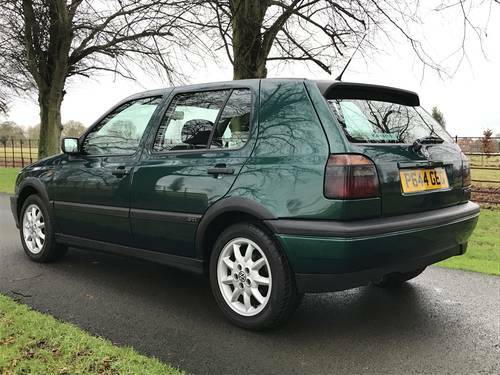 A ‘hot hatch’ of its day, the car feels as poised and balanced around twisty B-roads as could be expected exposing no significant wear or unwelcome movement in the suspension. 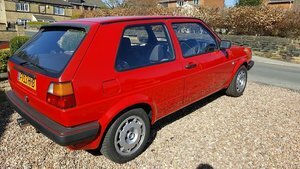 Far from the bone-shaking experience of many a modern ‘hot hatch’, this GTi offers a supple and refined ride. 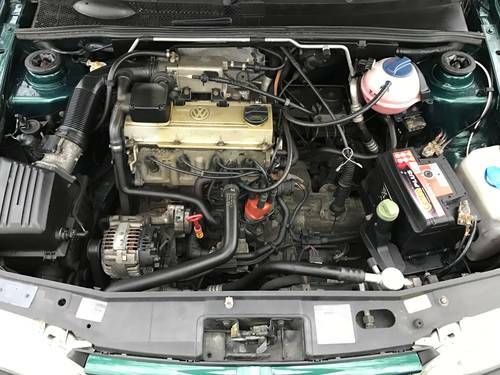 With no advisories on the last MOT, the car is in exceptional condition mechanically. All four matching tyres have covered just a few thousand miles and remain in an excellent, unworn condition. Remarkably there is not a single mark on any one of the original 15-inch alloy wheels. There are no signs of corrosion or dulling to the paint finish. Complete with the original leather-bound VW book pack as well as a folder of invoices and records documenting the vehicle’s history, there’s plenty of reading material for the lucky new owner. Heck, there’s even the original V5 document from 1996! 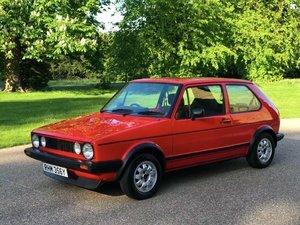 Covering on average just 2,000 miles annually and with the finest examples of the Mk1 and Mk2 GTi already fetching £15-20,000, this surely represents a rare opportunity to acquire a fantastic Mk3 before prices take a sharp rise.